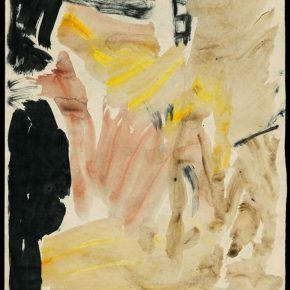 Jointly hosted by the China Artists Association, Shanghai Artists Association and Beijing Fine Art Academy, co-organized by the Art Museum of Beijing Fine Art Academy and Wu Dayu Art Foundation, “A Feather Flits the Sky – Wu Dayu’s Poetry and Painting” grandly opened at Beijing Fine Art Academy on October 27, 2016. 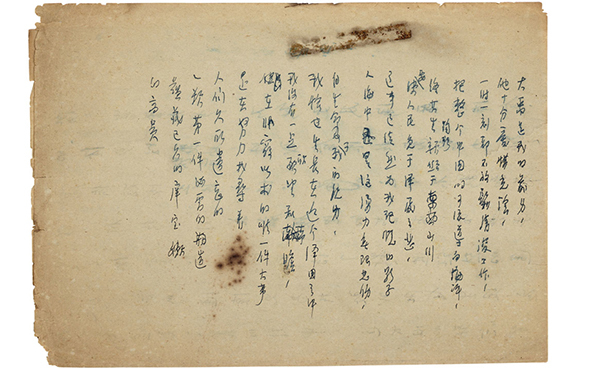 The exhibition brought together over 100 pieces of the artist’s oil paintings, pastel drawings, letters, poems, etc., and first published 45 poems of Wu Dayu. 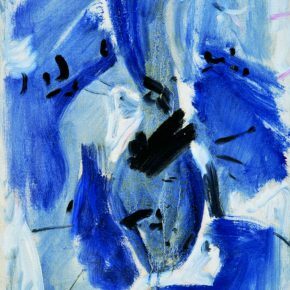 The exhibition starts from the perspective of poetry, to explore the inner world of the master of abstract painting, and through the associated work of poetry and painting, provides the audience with a new experience that is different from the previous exhibitions. 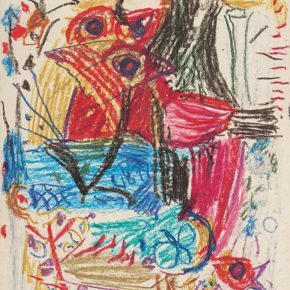 The exhibition continues to Nov. 18, 2016. 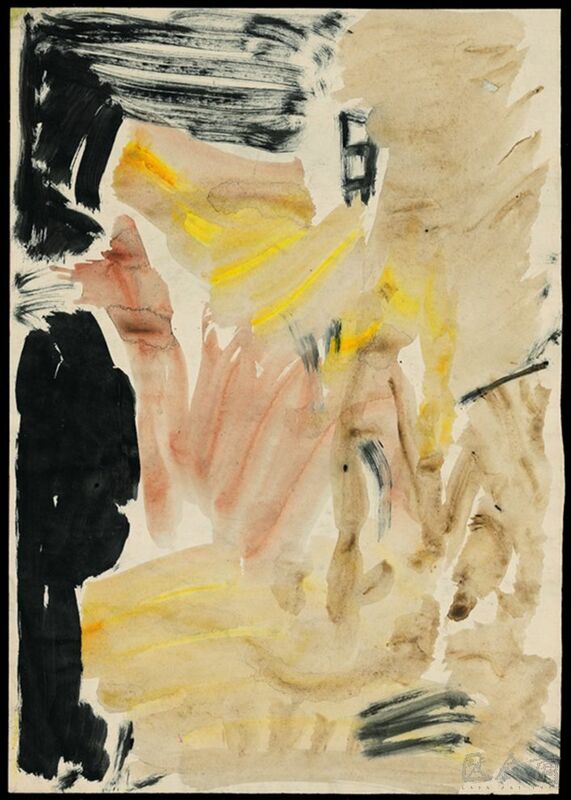 Wu Daiyu was one of the first generation of Chinese oil painters who returned after studying in France, and became the pioneer of early Chinese abstract painting because of his love for Western modern art language. 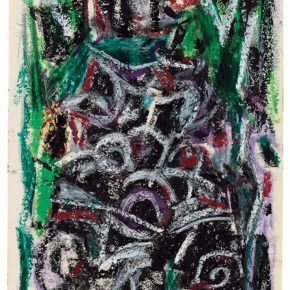 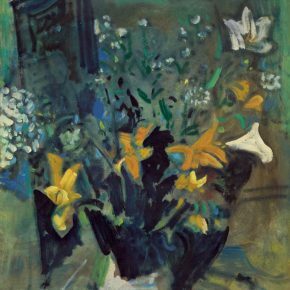 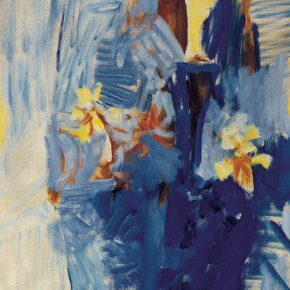 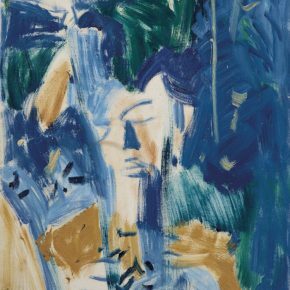 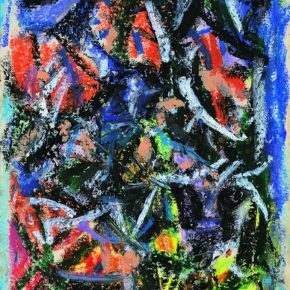 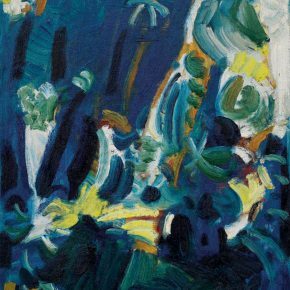 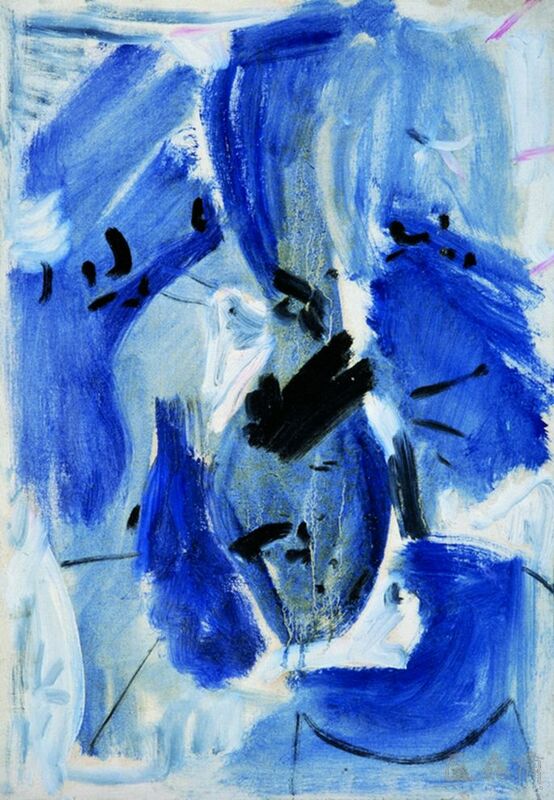 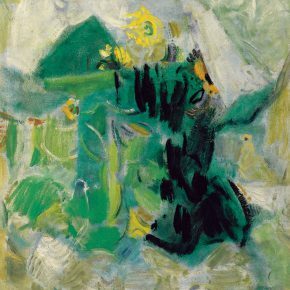 His artistic practice is in sync with Western modern art, and he was an outstanding representative of Chinese abstract painting. 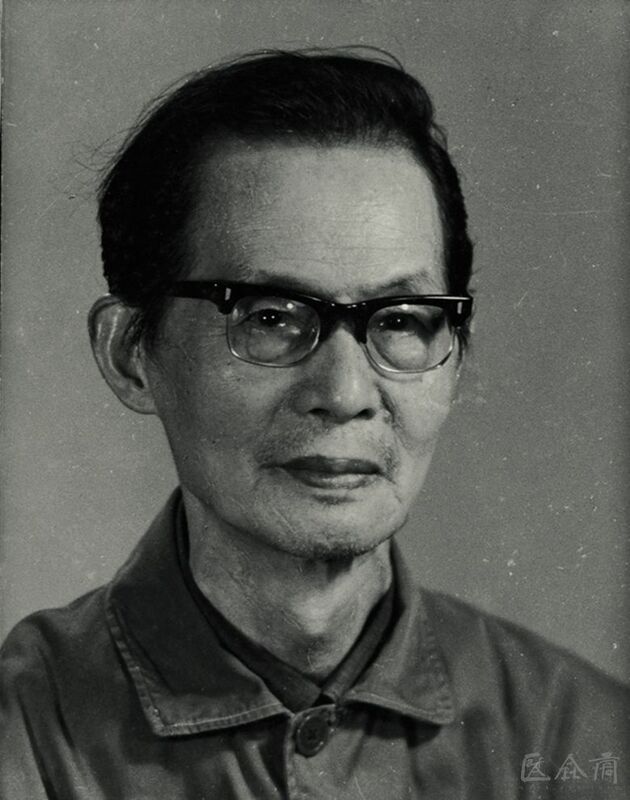 As an artist, Wu Dayu blended his noble personality, his insight into art and the Chinese people’s inherent poetic mind into his own paintings. 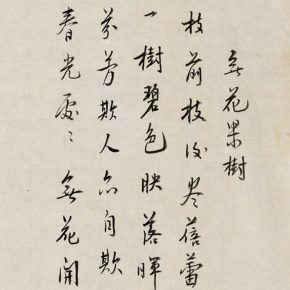 His profound knowledge of Chinese culture and the assiduous study of Western art enabled him to combine oriental implication with Western painting techniques. 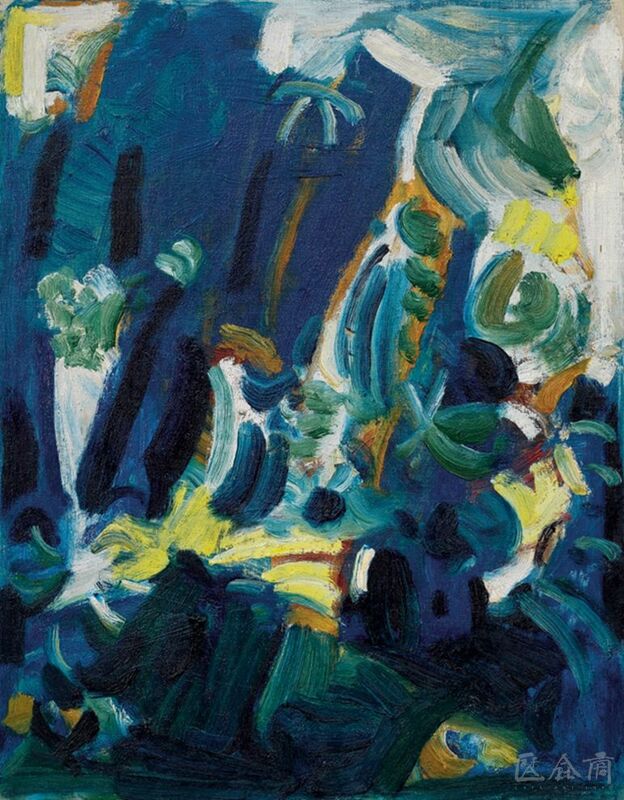 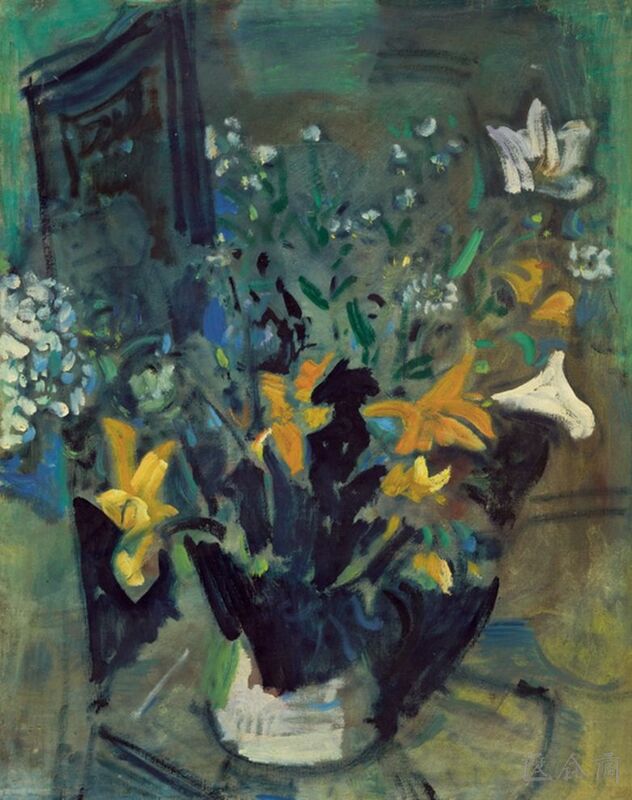 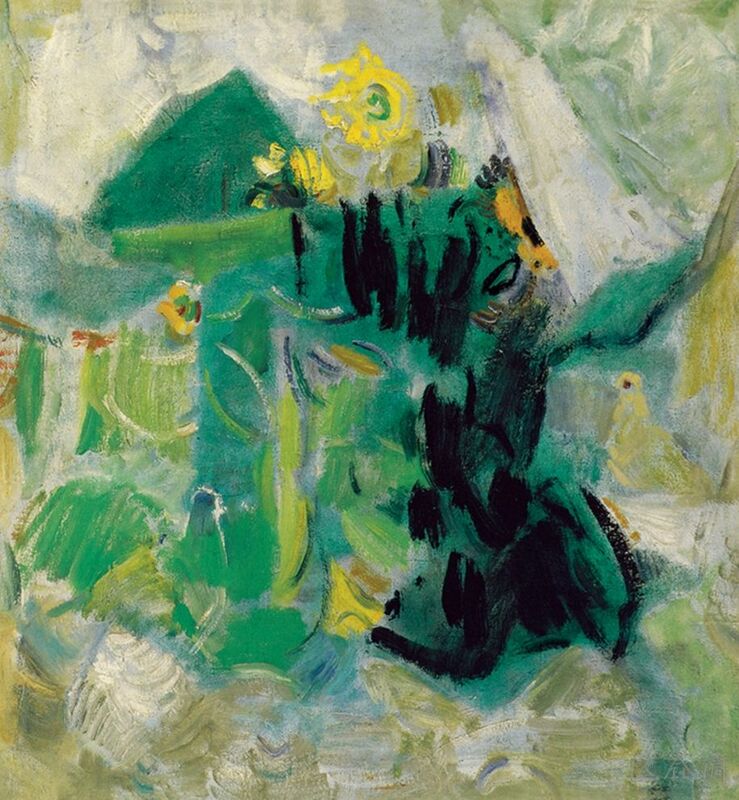 The work “Morning in the Park” (1973, collected by Shanghai Oil Painting and Sculpture Institute) does not use legible flowers and trees to express the clear morning of the park, but uses unrestrained strokes and jumping pomona green, light yellow, black and white blocks to create a harmonious and quiet garden from the heart of the painter. 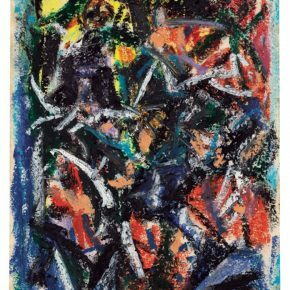 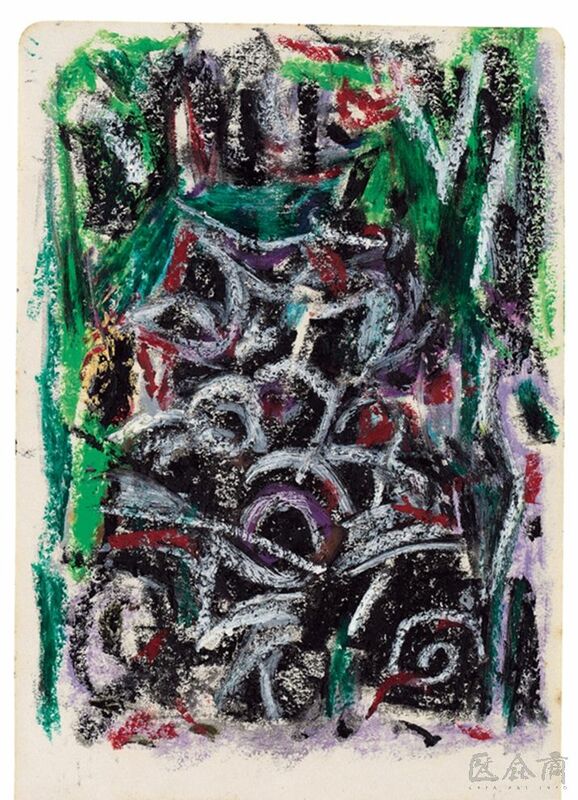 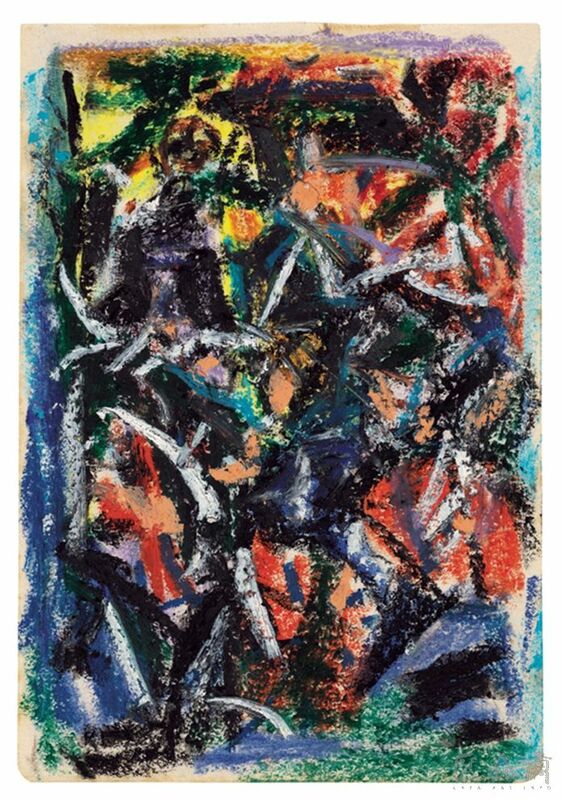 The “Colored Grasses” (1984, collected by National Art Museum of China) gained the “honored award” in the sixth National Art Exhibition in 1984, which was the first prize for the abstract painting by the National Art Exhibition in China. 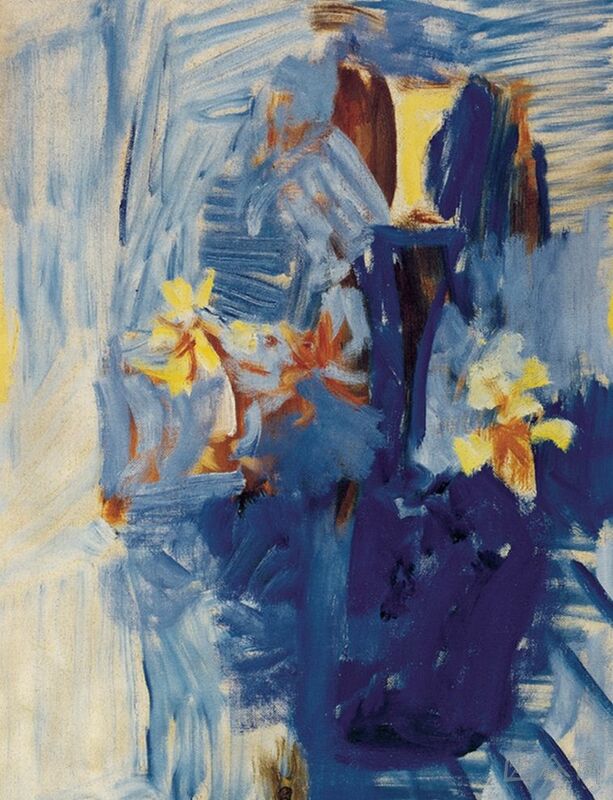 This piece of work applies Wu Dayu favorite color Prussian blue, the rhythm of colors, insertion of illusion and reality, the blue stems and leaves embrace the warm flowers which then form a fresh and joyful melody on the screen. 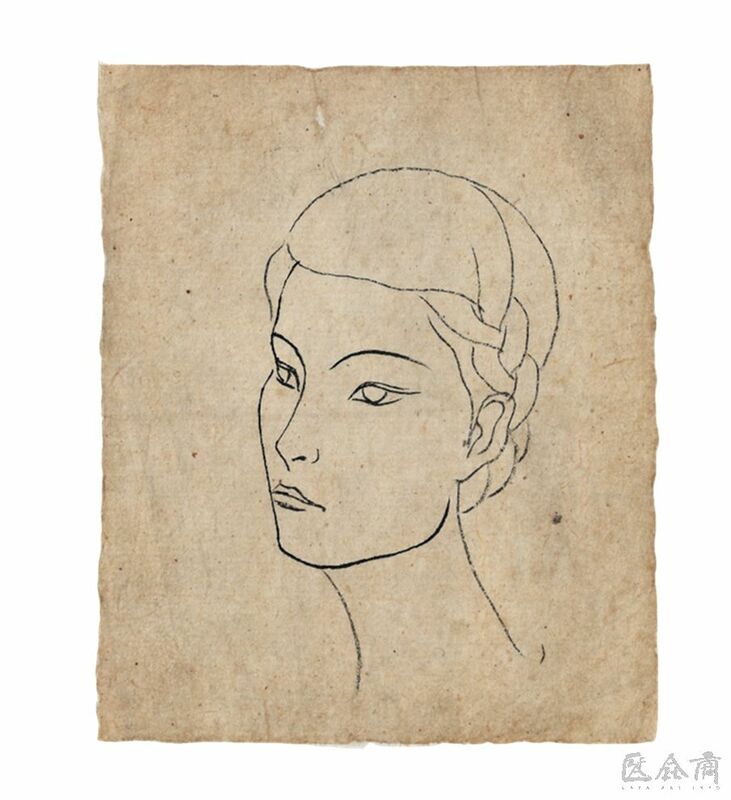 When completed, Wu Dayu left behind more than 600 poems, whose genres cover the form of pre-Tang poetry and new poetry, reflecting the painter’s profound classical skills and literary attainment. 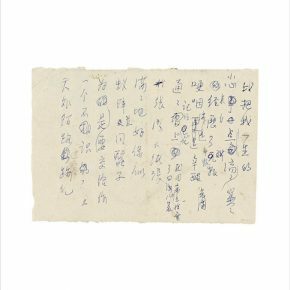 The exhibition selects 45 poems, including Wu Dayu’s position on the dignity and personality of the painter, his fondness for the ideal kingdom, and the pain and sorrow caused by people who did not understand him. 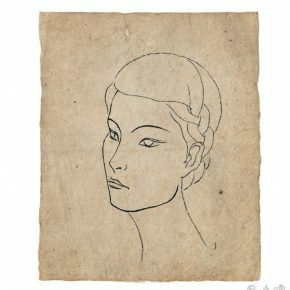 With a close analysis of these poems, we found Wu Dayu wasn’t the lonely and untime literati, but a strong and passionate thinker and philosopher. 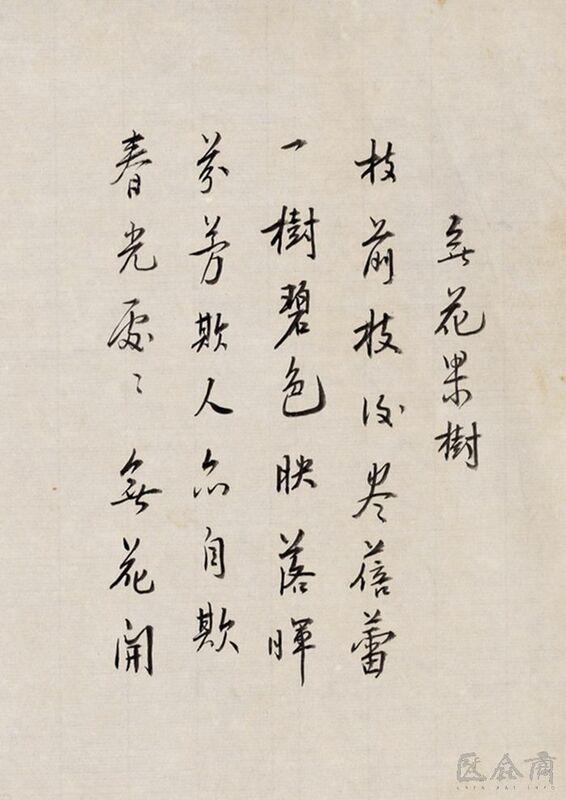 He thought he could live a hundred years, and he said “I will not die forever”; he ignored the benefits of life and the fame, so his poems and paintings refused to be titled; he worshiped ancient wise men such as Yan Ziling and Tao Yuanming, so that he was determined to be a model for the modern painter. 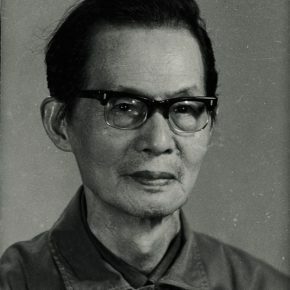 In the long run, Chinese and Western cultural attention is focused the basis of his favorite poems and paintings, Wu Dayu carefully researched and integrated new vocabulary which was both in line with Western theories, and the Chinese poetic context, in order to be different from the language of interpretation of Western art. 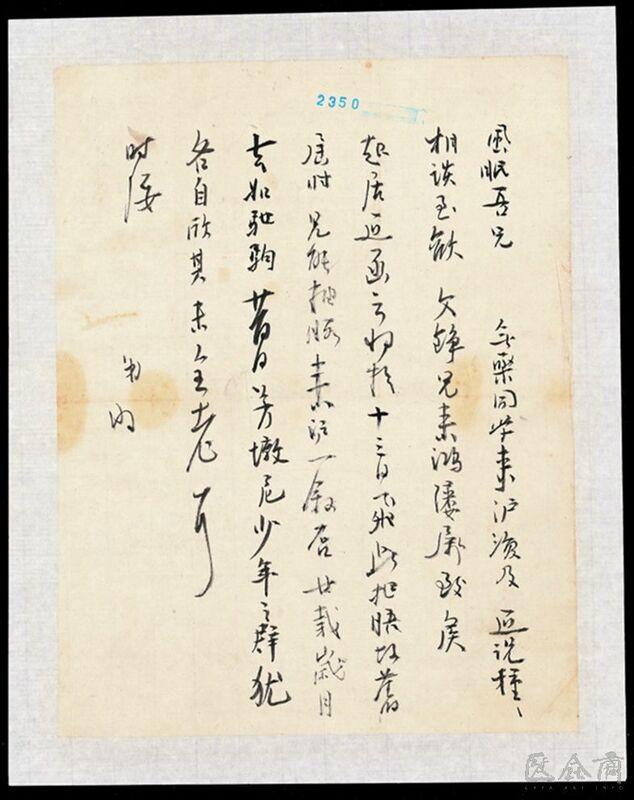 He wrote a letter to Wu Guanzhong and Zhu Dequn, referring to the concept of the “image of power”, which is obviously his creation, this is an innovative new term, taking traditional Chinese context as the basis, integrating China and the West. 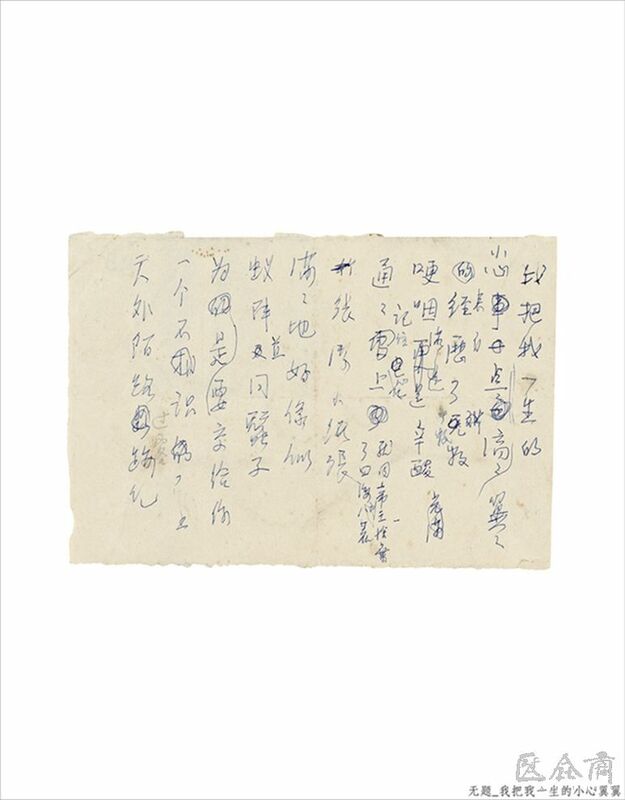 In addition to Wu Dayu’s poems and painting works, it also exhibits the artist’s letters and essays. 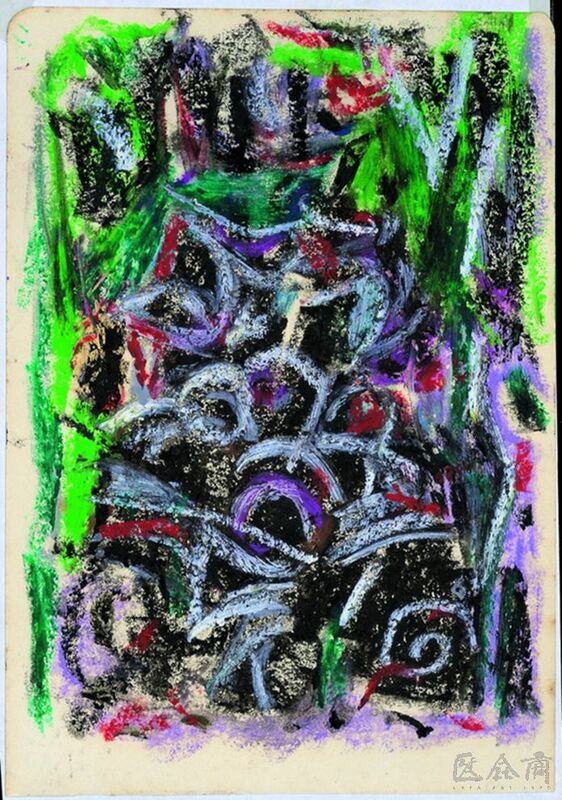 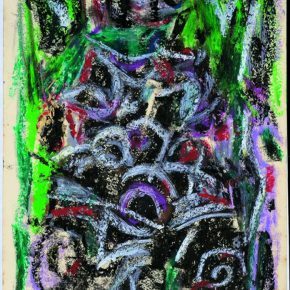 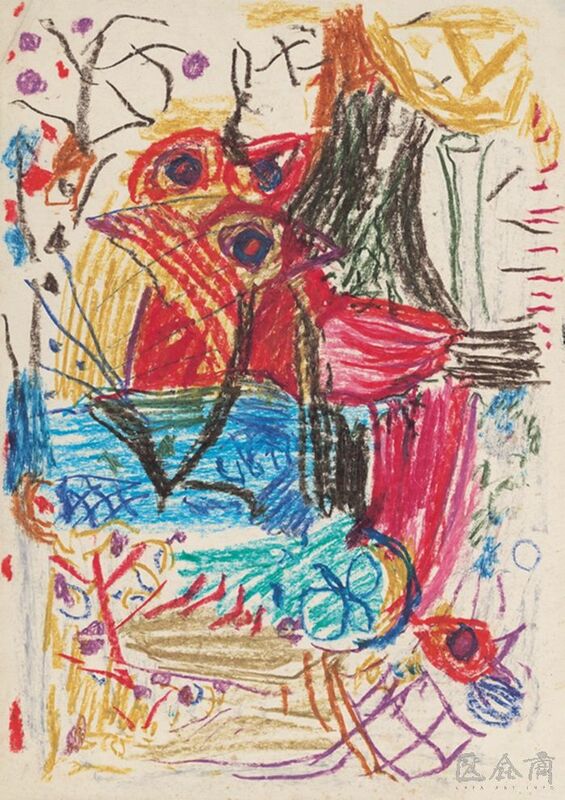 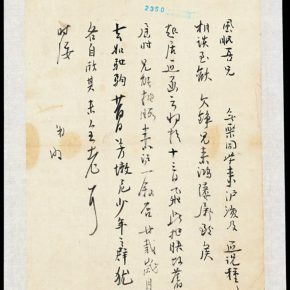 These documents record his elaboration of art, education, formal beauty, abstract language, which become a strong support for the construction of Wu Dayu’s artistic view and thoughts.